A chance meeting ended in a dream come true for Denis Mwale from Malawi - listen to this inspiring story below. 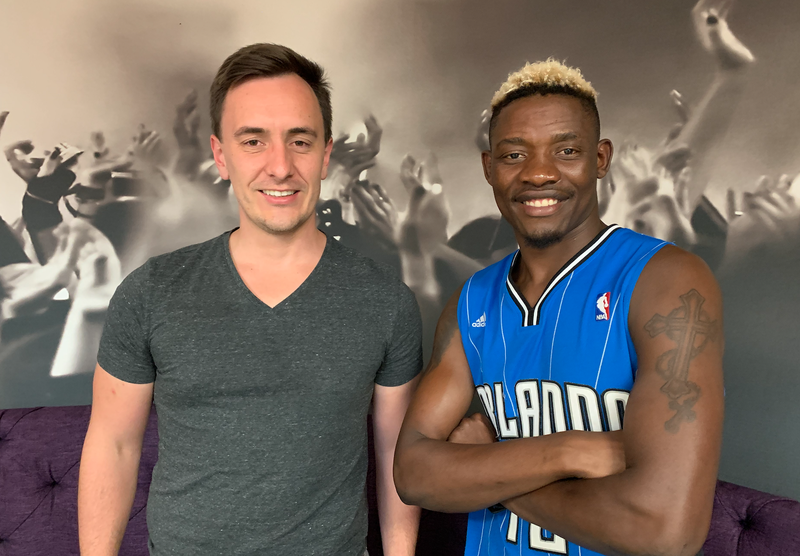 Frikkie van Biljon and Denis Mwale / Jacaranda FM. Denis Mwale was looking for work as a gardener when he knocked on Frikkie van Biljon’s door. Frikkie agreed to offer Denis a job and this is where their friendship started, which took them down a path neither imagined would end in a lifelong dream coming true. Denis is a big boxing fan and his dream has always been to be a professional boxer. When he told Frikkie about his passion, Frikke encouraged him and told him that he should pursue his dream. "If you are serious about this, you should start gyming and start taking part in some tournaments." A week later Denis came to work and told Frikkie that he had joined a boxing gym, taking the first step towards his lifelong dream. More than half of Denis' monthly income was used for his gym membership fees. Days hereafter he came to work and pulled Frikkie aside to share some exciting news - he just won his first boxing trophy and he wanted Frikke to have the trophy. Over the next few months, Denis continued to shine, gradually improving and continuously learning, which resulted in him becoming an undefeated boxing champ. Denis also recently passed an exam to become a personal trainer, which allowed him to leave his job as a gardener to pursue his passion for boxing.